Amber waves of grain . . . The label says it all: amber waves of grain under a full, blue sky. This is the only beer from the little French farmhouse brewery, Thiriez, that isn’t pungent with the aroma of hop bitterness. 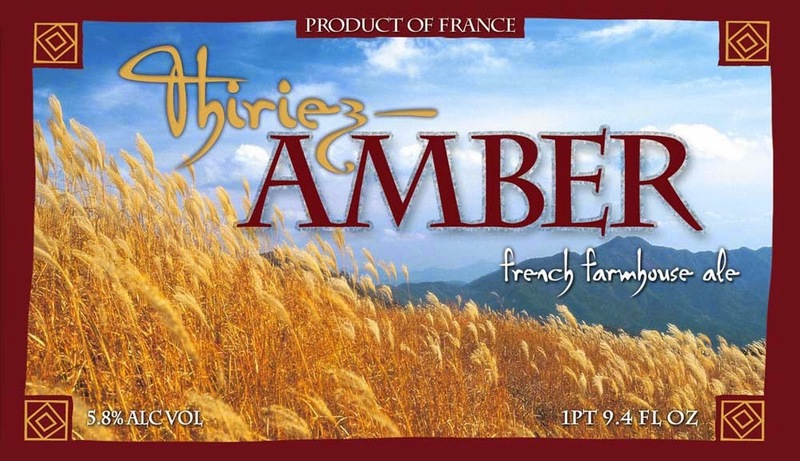 Instead, Thiriez Amber is a celebration of wholesome, freshly harvested barley malt, and that is what you get in the nose. The barley that grows in the fields of French Flanders (quite close to the border with Belgium) is some of the best in the world. Meanwhile, along with all that pure malt goodness you’ll detect a few spicy, earthy notes – just what you want in a real farmhouse brew – that derive from a very special yeast that is exclusive to the Thiriez brewery. Some of the malt is lightly roasted, which lends a mild, nutty flavor, and gives the beer a reddish tinge. It’s more of a red beer than an amber one, truth be told. Daniel Thiriez painstakingly crafts his rustic farmhouse ales in a rustic farmhouse brewery in the beautiful countryside of French Flanders. This brisk Amber Ale is really a luminous golden-red. It is perfectly balanced, with a soft, fresh hop bitterness playing off a hearty whole-grain maltiness, and accented by an entrancing nose of earth and spice that is typical of French farm-country brewing. 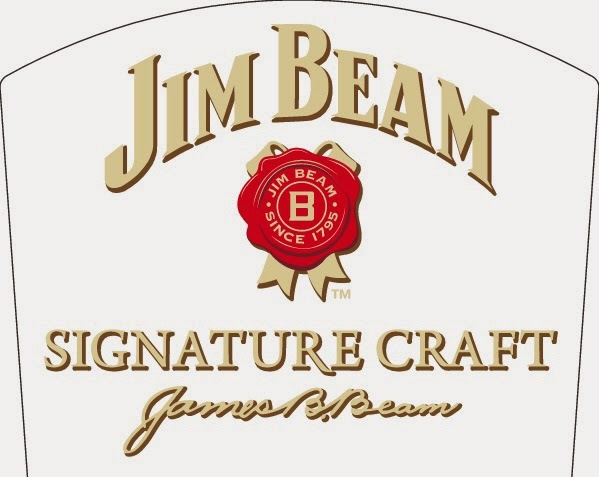 New release from Jim Beam in their Signature Craft Series. The 2014 edition is finished with bourbon aged in quarter sized casks for four to five years. The addition of bourbon from smaller, newly charred oak barrels heightens the deep caramel and vanilla flavors and adds a hint of smoke. Herman Story Nuts and Bolts scores big! Even better, his 2012 Nuts & Bolts is a smoking 100% Syrah that spent 16 months in 50% new French oak barrels. Full-bodied and decadent, yet never over-the-top, heady or cumbersome, it’s loaded with ripe blackberry, cassis, new leather, white pepper and hints of smoked duck. Drink this hedonistic beauty over the coming 4-6 years, although I see no reason to delay gratification either. I loved these latest releases from winemaker Russell From. His 2011s are excellent in the vintage, with slightly toned down, elegant profiles that stay focused and tight on the palate. His 2012s are even better, with hedonistic, textured profiles and fantastic purity of fruit. They’re all worth checking out. Stoli® celebrates the revival of the legendary Moscow Mule cocktail by introducing Stoli® Ginger Beer. 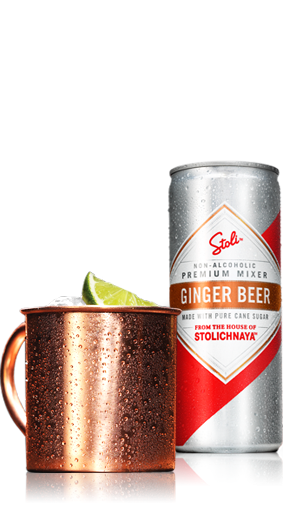 This mixer's bold taste, made with pure cane sugar and real ginger extract, is expertly blended to complement the smooth and robust flavor of Stoli® vodka, delivering the perfect Moscow Mule. A Moscow Mule is Vodka and Ginger Beer. We have plenty of both in stock. Get radical is a brewing project revolving around the concept of experimentation and collaboration. Founded in 2013, get radical is based in Paris, France and is the project of Brandon Evans & Simon Thillou of the world famous la cave a bulles. We are brewing artisinal, experimental beers inspired by music. With our eclectic tastes, we set out to produce hand crafted beers that don't find themselves fitting into a particular style, just as most of our favorite musicians don't fit into a particular genre. Collaborating with our friends (who have breweries) our goals for get radical are to encourage new ideas to the brewing culture of France while bringing our community closer together. Sante ! Inspired by so many things it's hard to believe. 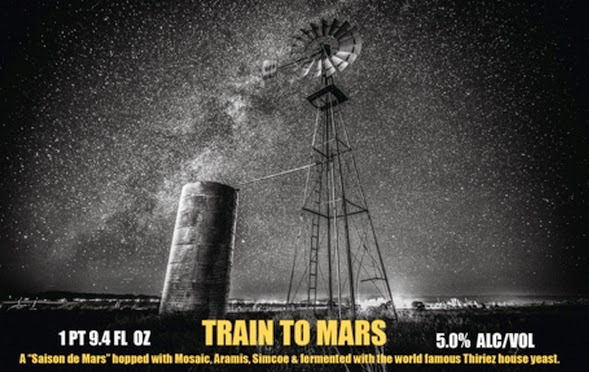 While tasting the colab that Brasserie Thiriez and Saint Somewhere brewed & listening to the song "Stars" by Hum on repeat, the idea of Train to Mars finally transpired. A modern, hoppy version of a "Biere de Mars"
While at Chez Thiriez, we scoped out his hop selection and realized we could actually brew with both American & French hops and have the names spell out MARS; Mosaic, ARamis, and Simcoe. Well, they ended up being a perfect blend that provide the delicate yet exotic aromatic quality of Train to Mars, but used with enough restraint to accompany the Thiriez house yeast strain. Train to Mars isn't exactly "Radical" but it is our favorite brew so far and interestingly enough a third of the batch is aging in Cote du Rhone barrels accompanied by locally sourced honey and Brettanomyces; sounds a bit more like Get Radical, doesn't it? By far our most collaborative effort yet. Brewed with our friends at Brasserie Thiriez in Esquelbecq, France in January 2014. Photo courtesy of our friend Sean Parker, and imported by our buddies at Shelton Brothers. Only a hand full of cases came into the state. Gabe Fletcher (Anchorage Brewing Co.) and Menno Olivier (De Molen) met up in Bodegraven to brew what became Mud & Funk. The beer started off as an Oatmeal Imperial Stout. 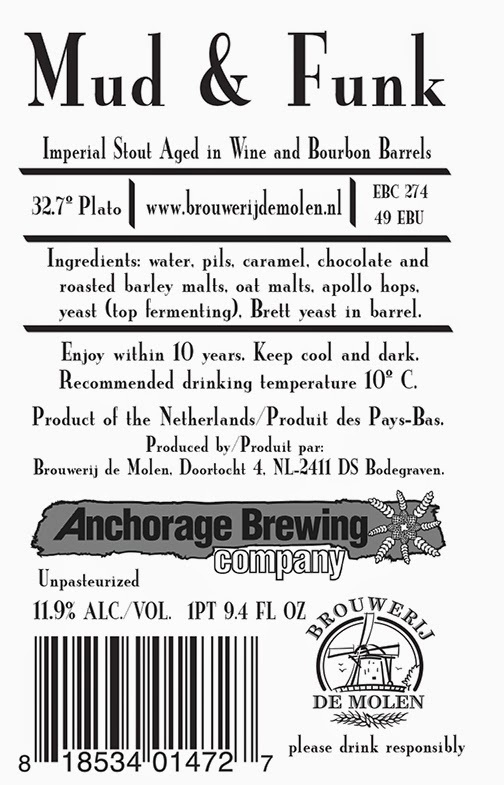 It was then aged in a mixture of bourbon and wine barrels and a brett culture and allowed to take its time to mature. This smooth, well-balanced red blend offers aromas of blackberries, blueberries and cassis, with intense fruit on the palate and a slightly peppery finish. Enjoy on its own, or paired with mild cheeses, simple pizza, pasta or red/white meat dishes, and more. 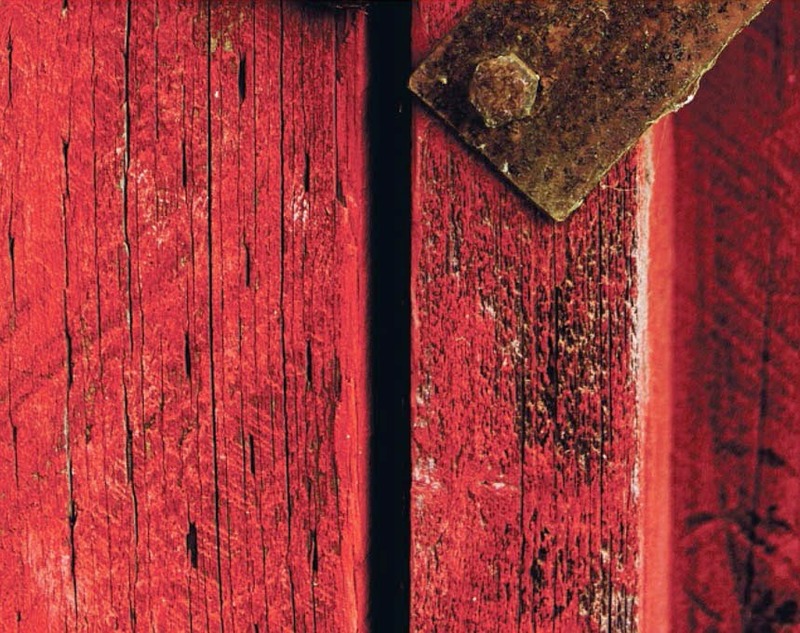 The red is unoaked and can even be chilled down for 20 minutes in the refrigerator of a great patio red this Summer. This is a great all purpose red wine. Finished with screwcap - no opener needed making it great for picnics and out by the pool. Something like this does not come around very often! Another baby Priorato, the 2012 Mas Donis, a custom cuvee from Eric Solomon, is composed of 85% Grenache and 15% Syrah aged nine months in both new and used French and American oak. The Grenache comes from 70-year-old vines, and the Syrah from 30-year-old vines. It is difficult to find a better value than this incredibly rich effort. The bouquet offers up a smorgasbord of aromas, including crushed rocks, spring flowers, kirsch liqueur and blacker fruits. Full-bodied with a velvety, voluptuous texture, and admirable opulence, density, purity and texture, it is nearly impossible to believe that something this good could be priced at $12 a bottle." 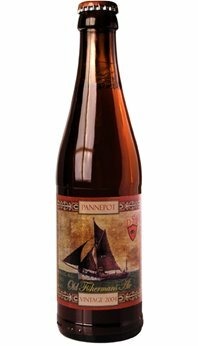 "In the early 1900s, the village of De Panne, close to the French border, was famous for two things -- the ‘Pannepots,’ or fishing boats, that could be seen along the coast, and the unique dark ale enjoyed by the local fishermen. Our Old Fisherman’s Ale is a tribute to these hardy sailors and their rich, flavorful brew. Unfiltered. Unpasteurized. Bottle-conditioned."